When Microsoft introduces a new Operating System, it is as though the whole world just waits to get their hands on it and try it out for themselves. Although initial remarks for the new Windows Vista Operating System are less than positive, it is certain that in a few years we will be hearing how the next operating system just doesn't compare to the wonderful Windows Vista. According to the general consensus among home computer users, XP was the most popular Microsoft Operating System. It may not be long before Vista gets over the obstructions in its path and soar to enormous popularity among PC users. Search functionality on every Windows Explorer screen. Search entire computer from the Windows Start button. Awesome graphics (even on the basic system) impressive enough for my photo editing applications. With two processors and IE 7 tabbed browsing, I could surf online 24 hours! Just hold the mouse over a .zip file and Vista will show you all the files in it! The old HP printer had no problems working with Vista. The old PhotoShop adapted to Vista pretty quickly. Microsoft Office 2003 also didn't have too many problems adjusting to Vista. Since this is the first year of release for the Vista Operating System, we are bound to see a bundle of complaints from frustrated Vista users. Of course, it all depends on how they will use this computer. For a regular home user, who uses email programs, MS-Office applications, programming or freelance work, this system is sufficient. For users of 3D graphics applications, engineers or businesses that use CPU intensive applications and complicated peripheral devices, a new operating system always brings with it a host of problems and frustration! If the product key (which can be found on the computer itself and on the installation disc holder inside the Windows package) is not entered into the system within 30 days after installation, Windows will stop working! If the computer stops responding during installation and displays a blue or black screen, it indicates that some part of the hardware or software is incompatible with Vista. You may need to uninstall all anti-virus software (and install it later) before you can complete the installation. Go to the Windows Vista Upgrade Advisor on the Microsoft website to see if your computer has the capability to run Vista. Disable any unnecessary hardware such as USB devices, network adapters, sound cards and serial cards. Then restart the installation. Check out your monitor and video software, sound card, update the drivers and check for problems again. Go to the Microsoft support website and search through the problems to see if there are any suggested solutions. If none of these work, it is time to call for professional help. 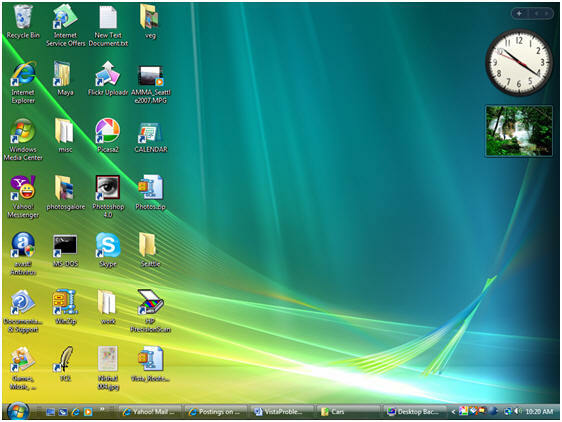 Computers with the XP operating system used an application called the "Windows XP Setup wizard" that helped create all user accounts as local administrators. This administrator privilege meant that all regular users could have system wide access and could install and remove applications as they chose to. In the Vista Operating system, the root files are protected with a process called "Windows Resource Protection" or WRP. Administrators can read these system files and folders but cannot write to them. 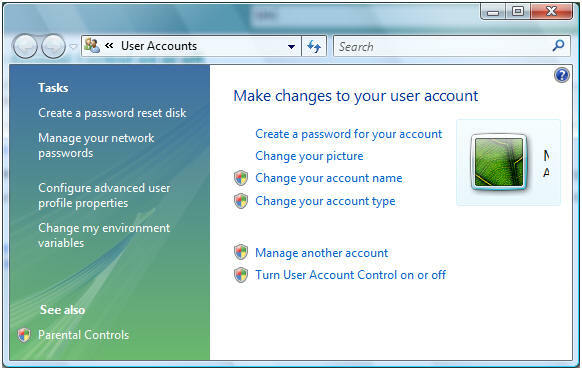 The UAC feature in Vista restricts unnecessary administrative level access to its resources. There are two types of accounts in Vista. Standard users have limited privileges or rights and cannot install or uninstall applications that write in the system root directory, change system settings, etc. If they have an administrative account and can enter that information at the time of accessing a restricted task, then the task will be performed. This feature will be beneficial to large businesses where security is critical to their survival, but it is not very useful for homes where the fewer windows we have to deal with, the better! So here are the steps to turn OFF the UAC. Follow the rest of the directions to turn UAC On or OFF. Remember, it's advisable to have some form of protection against spyware and unwanted software on your system. Whenever Microsoft comes up with a new Operating System, the designers of PC compatible products quickly create updates and solutions to allow the ease of transition for customers into this new Operating system. Most of the customers are peeved if an update doesn't exist for a certain application that they use frequently. This could be a finger print reader, an optical drive or some other device. A yellow exclamation mark may appear next to the logo of the device in the Device Manager window. Sometimes, clicking on the "Safely Remove Hardware" option on the task bar may disable the USB port and in other instances, you may receive "SYSTEM_THREAD_EXCEPTION_NOT_HANDLED" error messages. The reason for these problems is a race condition in the Usbhub.sys driver This condition, according to Microsoft, occurs if a USB device driver tries to attempt an instruction (line of program) before the previous instruction has completed its process (that means, it's a BUG). Use high quality optical media that is recommended by the drive manufacturer. Store media safely in a cool and dark place. If you are using ATAPI drives, make sure that the cable you use is 80-pin Ultra DMA 100/133. After installing Windows Vista, some customers have a difficult time connecting to the network. There were many causes to this problem. The router firmware is not up to date. Network Adapter may not be compatible with Vista. Install the latest updates from the manufacturer. Wired Network Adapters may have the "power saving option" turned ON which automagically turns them OFF at times). To share the root of a drive (not recommended); go to Start->Computer->Share->Advanced Sharing->Share this folder. Press Ok to share the drive. Use Safe mode with networking. Try to use the Internet Explorer. If you are able to use the program normally, then a service or program that is conflicting with the performance of the IE is preventing it from working properly. If you cannot use the Explorer normally, then it indicates a problem with the network adapter. Perform a clean boot, where you start the computer with minimal set of drivers. Open the Games folder by clicking Start->All Programs->Games->Games Explorer. Check that your game exists. If performance is weak when playing games over the network, verify that the computer is powerful enough to host multiplayer gaming. Open Performance information by clicking Start->Control Panel->System and Maintenance->Performance Information and Tools and check that the computer's performance ratings are sufficient for the game specifications. Microsoft is actively posting solutions to the problems reported by new users of Vista. Many of the problems are due to incompatibility issues and if the user updates the drivers or applications, the problems are resolved quickly. The only issues left are the ones where the manufacturer does not plan to distribute an update. In that case, unfortunately, most Vista users are forced to buy the newer, more expensive version of these products and sell or discard the old ones.